Cindy Miley, is the Chief Financial Officer for Melwood, responsible for the oversight and management of all of Melwood’s financial functions and Information Solutions Group. 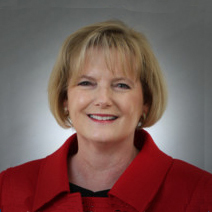 Cindy has more than 20 years of financial expertise acquired through her work at organizations such as PricewaterhouseCoopers, General Dynamics, LafargeHolcim, Magellan Federal, and her own financial consulting firm, CFO Solutions, LLC. Cindy received an MBA from the College of William & Mary and a bachelor’s degree from George Mason University.